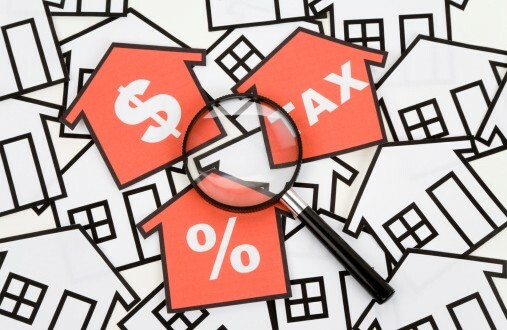 As you may know, the HST New Housing Rebate is established and governed by the federal Excise Tax Act, and is aimed primarily at those who buy a new or substantially-renovated home from a builder. However, as with all tax rebate programs, there are certain eligibility requirements; many of these are found in s. 254 of the Excise Tax Act. For example, one of these requirements in section 254(2)(e) mandates that there must be a transfer of “ownership” of the home to the particular individual claiming the rebate after the construction or substantial renovation is substantially completed. Normally this would simply be the same person who signed the Agreement of Purchase and Sale, but on at least two recent occasions the courts have had to consider certain unique fact scenarios which called into question whether the rebate is still available if the title to the property is transferred not to the person signing the Agreement of Purchase and Sale, but rather to someone else. The most recent one is a case called Kandiah v. The Queen, 2014 TCC 276, where the Tax Court of Canada considered a somewhat unusual scenario: the husband had signed an agreement to buy a new home, but for various reasons the title to the home was put in only his wife’s name on closing. The husband nonetheless applied and received $24,000 in the new housing rebate, which was credited to the developer. However, his eligibility for the rebate was later re-assessed by the Minister of National Revenue; he was declared ineligible and it was requested that the money be returned. In evaluating these facts against the rebate eligibility requirements, the court considered its own prior decision in a case called Rochefort v. The Queen, 2014 TCC 34. That case had slightly different and rather unique facts, but it remained relevant because the court endorsed what it called an “expansive view” of the concept of ownership, and differentiated between “title” and “ownership” for rebate eligibility purposes. Specifically the court established that although the question of who has legal title remains a significant factor in determining ownership, the two concepts are not identical: whether someone has ownership must be determined in each case by looking at the factual context and the wording of the legislation. More to the point, the court in Rochefort concluded that neither entering into an Agreement of Purchase and Sale nor receiving title to a property is sufficient on its own to constitute ownership for the purpose of qualifying for the rebate under s. 254(2)(e) of the Act. Returning to the scenario in Kandiah, and applying the criteria in Rochefort, the court decided that in all the circumstances the husband had not obtained sufficient rights in the property to constitute ownership, and this included the fact that his name did not actually appear on the title. As such, he could not claim the rebate under s. 254(2)(e). (And it should be noted that one of the key distinguishing factors in Rochefort – and one that was also not present in Kandiah – was that the home purchased was intended to be a matrimonial home occupied by both husband and wife. Even though the wife was not put on title, she and the husband both had certain rights in connection with it, arising under the Ontario Family Law Act, including some right to convey the property. The Rochefort court also concluded, based on certain background facts, that the husband had attained a “beneficial” interest in the property even though his name was not on title, and this factored into the court’s decision as well). What’s the take-away from all this? It’s simple: In order to be eligible for the new housing rebate, make sure that each person who signs the Agreement of Purchase and Sale is also listed on title to the property. It sounds basic, but it doesn’t always happen this way, and being unaware of the distinction may cost the chance to claim a rare and hefty rebate from the government.